Question: What does the rebranding at the Manele and Koele entail? Answer: The rebranding is basically that they want to maintain the same premise that the hotels were built on but now with Four Seasons coming into it, they are trying to give it a freshen up. 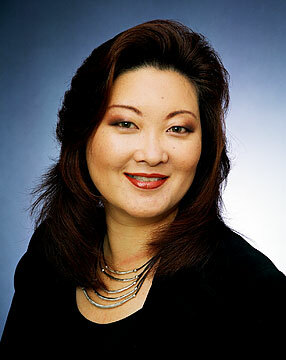 » New job: Interior designer Yvette S. Muta has joined the 12-person architectural company Pacific Asia Design Group Inc.
» Role: Her responsibilities include rebranding Lanai's two major hotels, the Four Seasons Resort Lanai at Manele Bay and the Lodge at Koele, and interior design for the Palms at Manele luxury condominium. >> Background: Before joining Pacific Asia Design Group, she was a project manager and interior designer with Long & Associates. She left in 2002 and started her own residential interior design business, Signature Studio. She graduated from the Rhode Island School of Design and has more than 15 years of design experience in Hawaii. » Born and raised: Honolulu. She now lives in Aiea. The company has been working on this for a while, though there's a number of areas I was involved with for the Manele Hotel: the Kids for All Seasons program and the teen center. We did a submittal of a proposed concept design and we carried it through from that level through the design into specification and install. Q: How do you mean "maintain the premise"? A: The lodge, as we all know, ... it's like a tropical lodge: It's a little more relaxed. The setting really is conducive towards that type of look. They were both such unique gems to start with. We wanted to maintain most of that, but just give it a little of a freshen up. Q: What has the company done for the Palms at Manele? A: We provided the architectural finishes. They each had their own theme that we started with and the architectural finishes were based on those themes. One might be more beachy, more of a seaside feel in their architectural finishes, while another might be more traditional. Q: What was your favorite project of your career? A: It's hard to single out a project because each is so unique, you take away a little bit of each one that becomes your favorite that you put on a future project, so you provide a higher level of excellence. Q: What was your hardest project? A: Probably the most difficult project for myself is trying to stay within one type of interior design, the genre of projects. For interior design, you've got so many avenues that you can follow. As with project types, they've all got their own unique set of circumstances and you learn from every single type of project. That's probably the most single difficult lifelong project for me, because I love every single one of them.